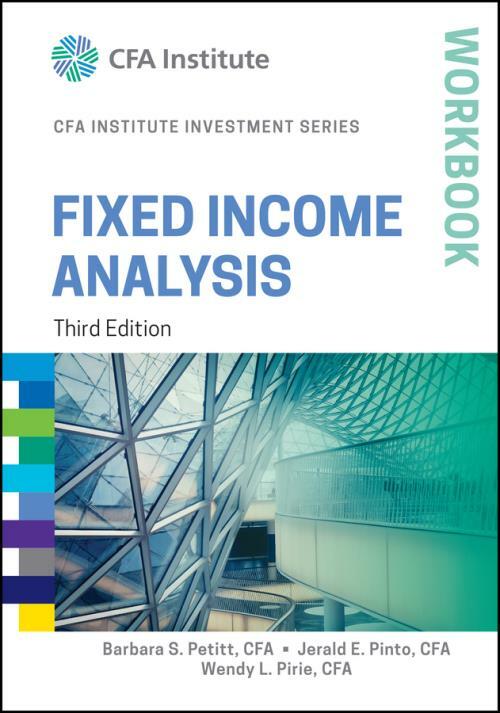 Now in its third edition, the Fixed Income Analysis Workbook offers a range of practical information and exercises that will enhance your understanding of the tools, strategies, and techniques associated with fixed–income portfolio management. Edited by financial experts Barbara S. Petitt, Jerald E. Pinto, and Wendy L. Pirie, and written by a team of knowledgeable contributors, this hands–on resource helps busy professionals and those new to the discipline apply the concepts and methodologies that are essential for mastery. For anyone who wants a more solid understanding of fixed–income portfolio management, the Fixed Income Analysis Workbook is a comprehensive and practical resource.